"Green sauce for any kind of Hispanic food. Serve over grilled chicken, pork, steak, fish, veggies, or whatever else you like." 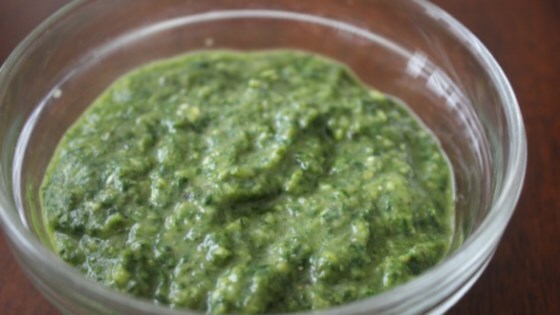 Blend green chiles, cilantro, garlic, lime juice, and 2 tablespoons olive oil together in the bowl of a food processor. Pour remaining olive oil in a thin stream through the feed tube until mixture reaches sauce consistency. Season with salt and pepper; pulse to combine.